POLITICAL TIDBITS: The war vs. drugs---candid snapshot after the recent horrifying San Jose del Monte slayings---so brutal that provincial governor and mayor felt constrained to put up sums to flush out the killers. What can be done with drug addicts within ambit of the law? The war vs. drugs---candid snapshot after the recent horrifying San Jose del Monte slayings---so brutal that provincial governor and mayor felt constrained to put up sums to flush out the killers. What can be done with drug addicts within ambit of the law? 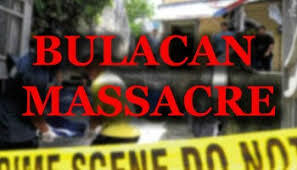 One of the more horrifying episodes in recent times in our drug-proliferated country involves the slaying of two women and three children in San Jose del Monte, Novaliches---a crime so dastardly that the governor of Bulacan and the mayor of the town felt constrained to put up reward money that would lead to the arrest of the killers. While the father of the family, a security guard, was away, apparently two drug-crazed men got into their shack in San Jose del Monte and raped the women: first the elder woman, the children's grandmother, and then her daughter, the mother of the three children. Afterwards all five of them were slain and the killers fled. After a few days the story emerged: the two assailants were high on drugs and committed the rapes and murders. “It seemed like fun at that time,” was all one assailant could say with a weird smile and glazed eyes. Of course no one in his right or station mind would commit such horrible crimes, but it demonstrates concretely what hideous drugs can do to transform people into beasts. Co-conspirators here are the widespread poverty and the lack of education and opportunities for advancement of the very poor in society. Drugs become an escape mechanism. It’s also used by those in occupations that tax health but enable the users to stay awake---such as bus-drivers especially for long distances, security guards and apparently, judging from the huge catch in Marawi, rebels fearful of impending death but who have to soldier on. Soon after reading about that episode, I had a conversation with an established psychologist trained abroad and who has worked abroad in dealing with such societal aberrations. He stressed several things. One is that the drug problem remains so prevalent and widespread in our country despite the Duterte administration's campaign against it, cutting across social strata---it is as bad at the very lowest rung of society, the balut-vendors, street-sweepers, jeepney drivers and security guards--- as it is in the rarefied atmosphere of the exclusive villages in Makati and Pasig. What’s sad about it, this psychologist stressed, is that many prominent parents of such delinquent children are not even aware of their involvement with drugs. He narrated that in a visit to an affluent home where the father of the family had asked for help for his drug-involved children , he also interviewed the house staff about their wards, and the staff didn’t know if the kids had hidden forbidden stuff anywhere in the house. The psychologist took a look at a mirror on the wall and sure enough there was neatly taped at the back---a small package with whitish stuff, shabu. He stressed that parents have to befriend their children and know where they hang out and with whom, but that he has been to homes where a mixed crowd play mahjong all night in one level of the house, while the kids and friends smoke pot and eventually graduate to sterner stuff later. This psychologist also noted that with the crackdown on drugs in the market, prices have gone up, and this means that supply is getting more critical as the anti-drug campaign continues. On the other hand, let us hope that the police campaign against drugs---now secretly sold in little sachets that look more like innocent salt or “Magic Sarap”--won’t proliferate. Get involved with your children’s lives, this psychologist advises, and get to know their friends, where they go and what they like to do. Spending more time with your children has been a time-worn advice to parents since forever, but never has it become more needed and more sensible than in our present day and age. The psychologist stressed how prevalent the drug menace has become in Philippine society. Recall that tens of kilos of drugs were seized by government soldiers in two successful captures of lairs of the Maute-led rebel group in Marawi recently. What it underlines is that the rebels have access to not only arms but drugs in our very porous Southern backdoor---and it's very likely that the drug trade funds the invasion in the South; thus a double whammy. The supply of both contraband goods has to be sealed if we are to lick our drug problem as well as the illegal firearms, or reduce them at least to the minimum. The drugs found in huge quantities in several places in Marawi indicate the ease with which prohibited stuff get to enter the country---the Southern backdoor is only one entry point---and this has to be sealed no matter how tough it is to do so. I had always wondered how come the drug supply in Luzon has seemed inexhaustible---now we have a good idea. It’s easy enough to see how rebel soldiers have to take the prohibited drugs to overcome fatigue and fears of impending attacks by the Armed Forces, where they could die; thus; it would help tremendously if we could seal the Southern borders----despite the obvious difficulties such work would entail, given wide-open entry to Mindanao via the high seas. We citizens also hope that the huge quantities of drugs seized from rebel forces in Marawi would be destroyed totally and not smuggled back into the market. Secondly, the psychologist emphasized how ill-equipped our country is in combating the drug menace---especially in facilities needed to house and reform the addicts, with staff trained for the urgent but very delicate work badly needed. He narrated how some police officers have admitted candidly to him that while they did try to turn the drug addicts over to the responsible suitable agencies, in some cases the cops seem to have no choice but to shoot them down because they did not know of places equipped enough to handle drug rehabilitation. Wrongly handled, these addicts could only worsen and infect other people with their affliction. With the lack of properly trained personnel and rehab centers, thus was born the ugly phenomenon of the EJK denounced all over the world, and giving the Duterte administration an unnecessary black-eye internationally. The brutal truth is that the drug menace had become so pervasive and prevalent, stresses this psychologist, that society and the law-enforcement agencies were caught totally unprepared to handle this problem of the drug-crazed people. It was ignored by the Noynoy Aquino administration and it took Rodrigo Duterte to dramatize the campaign---unfortunately in many cases, with EJK. The psychologist admitted that to in order give the government and society---hand in hand---a fighting chance to win the battle against drugs, it would entail more effort than what is being exerted now. I think of the successful battle being waged by Argentine-born Fr. Luciano Felloni, now a Filipino citizen, of the Our Lady of Lourdes Parish in Caloocan, with the cooperation of the city government. I can think of what the Brazilian sisters are doing to help drug addicts in Masbate in the Azenda di Esperanza---a rehab place without fences where youngsters are being successfully helped on to recovery. But those are very few examples. More has to be done to win the ugly war vs. drugs.